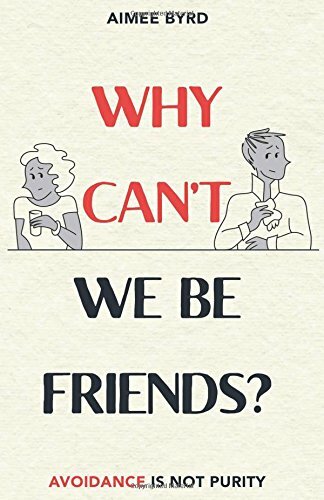 I recently introduced Aimee Byrd's book Why Can't We Be Friends? by addressing how believing men and women must view themselves as brothers and sisters. This union with Jesus Christ as our eldest brother is a theme that gets echoed throughout Byrd's book and would certainly be worth revisiting. But today, I'd like to hitch back to the end goal of this union with Jesus: a new heaven and earth without marriage but eternal union of the church together and with Christ. Byrd is merely citing Jesus in asserting that our marriages will eventually be no more. For those marriages consisting of believers, our eternal relationship will be brothers and sisters of Jesus Christ. This truth reveals how marriage rightfully is a temporal signpost to the eternal marriage of Christ and the church. As such it can serve as a glorious sign to the gospel. Yet eventually, this sign will not be needed and it will become a shadow to the reality. But our eternal relationship as brothers and sisters will remain. In the Divine rest to come, indiscriminate fellowship will be an eternal gift. So Byrd rightly asks, why are we not celebrating this gift now? And why are we not working now towards that future in our relationships with one another? Far from merely stating that male and female relationships are permissible, this view for the future intimates that these friendships are essential to the vitality of the church and her mission.